LANCASTER— Five school boards have been selected as Honor School Boards. This is part of the Texas Association of School Administrators School Board Awards. Each year, the program recognizes outstanding Texas school boards for commitment and service that has made a positive impact on Texas public school students. Prior to making the top five, Region 10 selected the Lancaster ISD Board of Trustees as its Outstanding Board of the Year. Region 10 Superintendent of the Year for 2014, Dr. Michael D. McFarland, was glad to nominate the Board for consideration. Now that the Lancaster ISD Board of Trustees effort is being recognized beyond the region, Dr. McFarland is excited about the opportunity to highlight the trustees at the state level. Board President Ty G. Jones said that the recognitions by the region and state provide acknowledgement that the Board and district are doing some things well. Trustee Ellen Clark said that she feels humbled and appreciative of the hard work of the district’s staff and students who have transformed Lancaster ISD. “People from outside the district know how good this district has become and maybe this will let the community know the impact of such a school district on the quality of life in Lancaster,” she said. 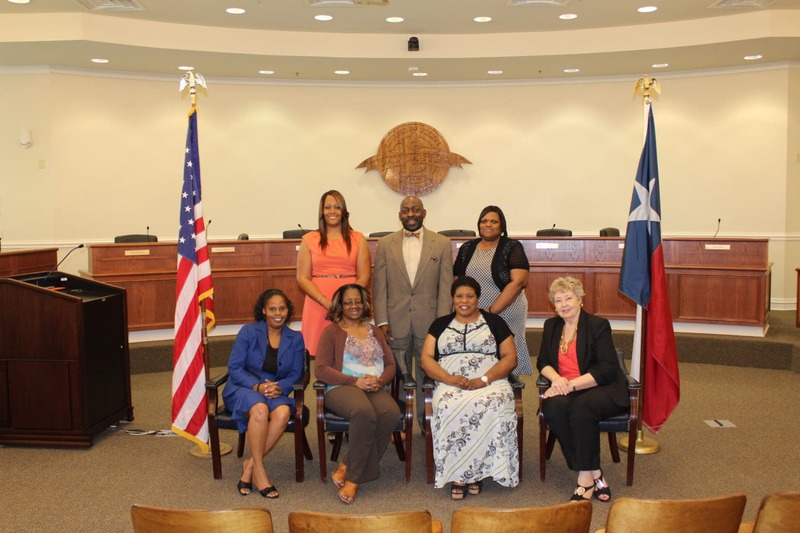 As a Leadership TASB graduate, Ms. Clark often interacts with trustees from throughout the area and state.